Warren's hidden gem! 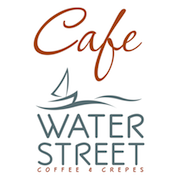 Featuring locally roasted coffees, espresso drinks, fresh baked goods and gourmet crepes. Open seven days a week (holidays too!) 7 a.m. (8 a.m. Sundays) to 10 p.m. Located right on the Warren river.